Buy AZAL flight ticket - plant a tree! May 3, 2017, Baku – Azerbaijan Airlines announces the launch of a special environmental project aimed at greening the city of Baku and taking care to preserve the environment. 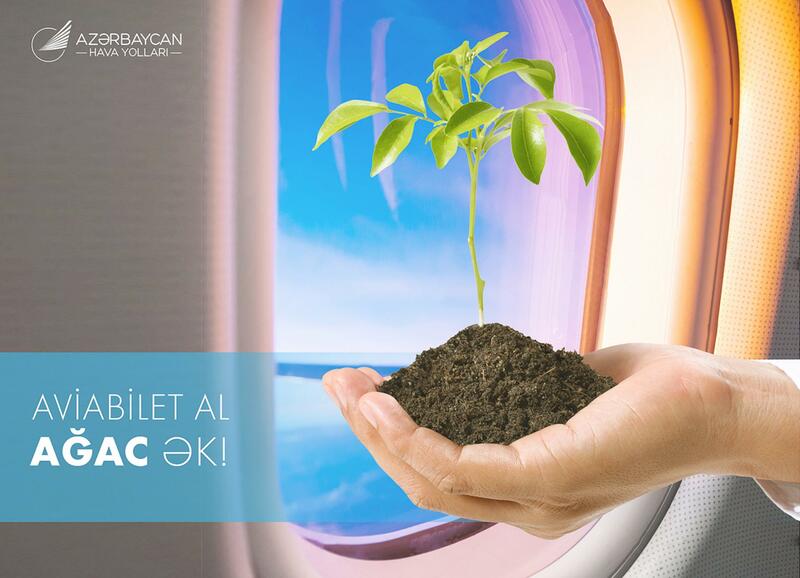 From May 3 to May 10, 2017, the airline will plant one tree for each flight ticket sold on the destinations of AZAL and AZALJET. Within the project, a special campaign to plant seedlings will be held in the vicinity of Heydar Aliyev International Airport. By carrying out this campaign, Azerbaijan Airlines once again draw attention to the urgent problem of felling of forests and green plantings, which in turn adversely affects the ecology of our country and the planet as a whole.